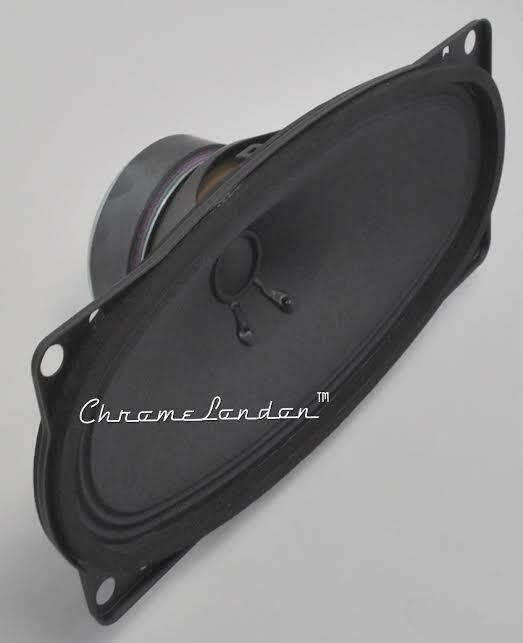 NEW OVAL LOUDSPEAKER WHICH FITS PORSCHE 912 AND 911 MODELS FROM 65-75. AN UNUSUAL SHAPE THIS SPEAKER IS SOMETIMES OVERLOOKED SINCE IT IS SO WELL HIDDEN. 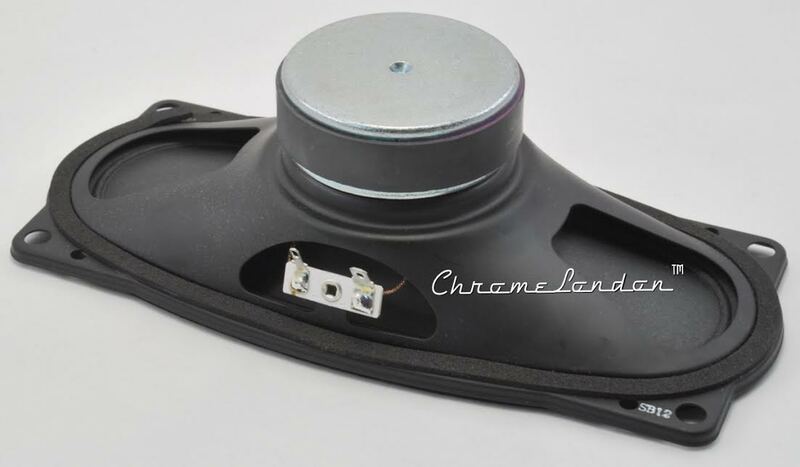 IDEAL FOR THAT PERFECT RESTORATION THIS REPLACES YOUR WORN OUT FACTORY SPEAKER OR FITS EXACTLY IN THE CUTOUT WHERE NO SPEAKER WAS FACTORY SPECIFIED. SIMPLY FIX TO THE MOUNTS USING THE SUPPLIED SCREWS AND FIXER CLIPS. 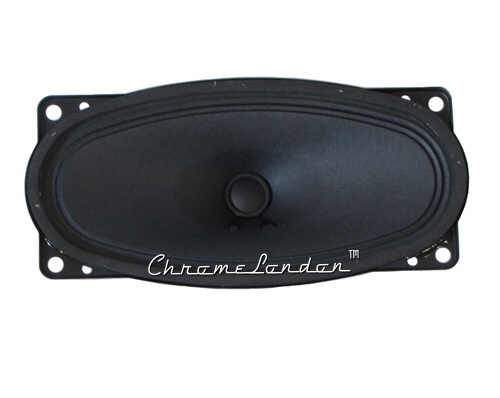 THE ORIGINAL ITEM HAD A TINY OUTPUT, JUST 2W, OUR MODERN VERSION IS ALSO A LOW IMPEDANCE SPEAKER BUT WITH AN OUTPUT OF 25-45 WATTS. MANUFACTURED FOR US IN GERMANY, THIS IS THE PERFECT UPGRADE OR REPLACEMENT.